The Marion welcomes you into the large living room. Off the living room is a separate dining room and kitchen featuring breakfast bar and laundry room off of it. 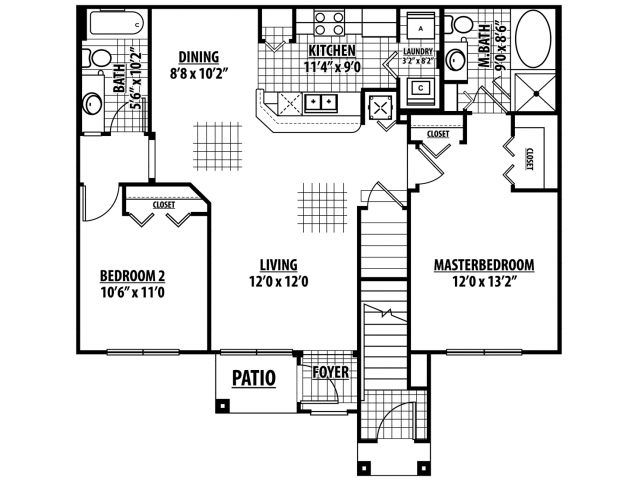 The 2 bedrooms and 2 bathrooms are on either side of the living area.